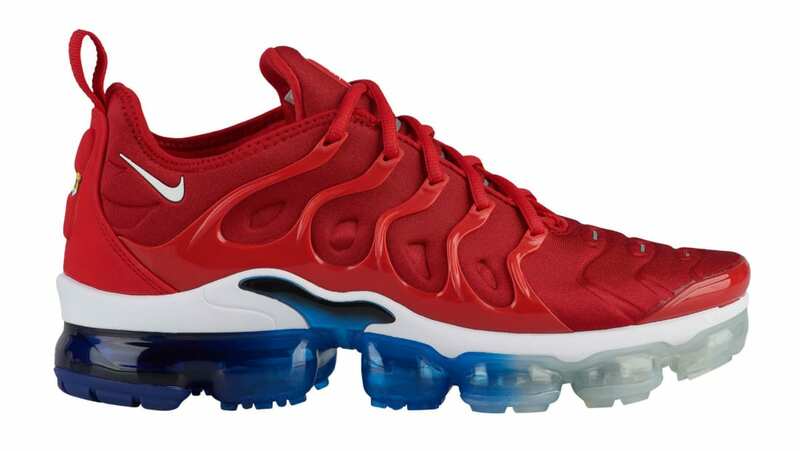 Nike Nike Air VaporMax Plus "USA"
The "USA" Nike Air VaporMax Plus sports a bold red upper, including its wavy TPU cage. Below sits a gradient-style blue-to-white Air VaporMax sole, which gives the hybrid runner the look of a Firecracker popsicle commonly found on ice cream trucks. Release date is June 2018 at a retail price of $190. News Nike Air VaporMax Plus "USA"